All sponsors get a note of thanks and it’s time to show some gratitude to Prendas Ciclismo for their support over the last month and beyond. Their ad has been here during May and they’re the retailers of the INRNG jersey, caps, armwarmers… and more. Loyal readers will know the British bike shop already as they’ve had ads here before and sell the caps, armwarmers and jerseys. If the name is new to you they specialise in clothing and have a range of stock including vintage and retro items plus some dedicated Giro d’Italia merchandise, see their website for more. If you haven’t shopped with them before, you’ll find Mick and Andy ready to help by phone or email. I’d offer more praise but when they’ve sponsored the blog before a flood of comments from satisfied customers said it better. When Prendas first placed an ad here some reader comments suggested some Inner Ring clothing, igniting a slow burning project that took off last year helped in large part because Prendas offered to design and produce a cap and handle all the sales: something they are good and this blog is not. No sooner did the caps go on sale than they sold out. This happened again with the jersey, most sizes sold out within days. New stock is due in soon and socks are coming too. As ever the site sponsorship and kit sales keep the wheels turning, literally so as an added incentive to recon Giro stages, climb the Mortirolo and more. The socks I got along with my INRNG cap quickly became my favorites in the drawer. Holding out until socks are in stock! I’ve always found Prendas to be excellent value for money, and with great customer service. Really high quality kit, love rocking my retro La Vie Claire jersey. Another shout for Prendas, used them previously and always had great service and products. I’m one of the lucky ones, ordered my jersey at lunchtime and it arrived the next morning. Happy to support this site and those who work with it. Excellent and very quick service when I used them to order a couple of caps. Planning on getting a few jerseys soon. Highly recommend them to anyone looking for quality cycling clothing. Ive used Prendas afew times, always been top notch! I bought the cap to support the blog. I also buy from prendas because they sell good stuff and decent prices. I’ve purchased a few needed items we don’t have in our own custom kit from Prendas and found them to be good folks to deal with. Still would like to see Inrng come up with a simple DONATE (via Paypal) button for those of us who’d like to offer monetary support but really don’t need or want more stuff and don’t have the budget to cover sponsorship. 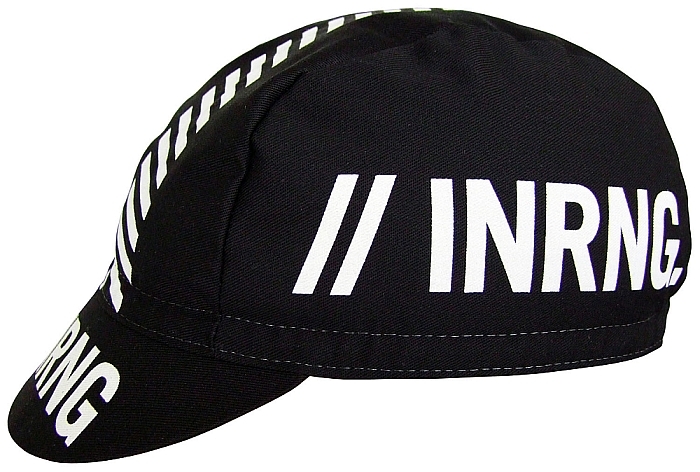 Hat tip to Prendas. Excellent service, and special thanks are due for supporting INRNG. Another vote of thanks to Prendas…for sponsoring the blog, for collaborating with the kit and for their very good service. Had the cap, couldn’t get a jersey but did buy 5 pairs of the polka dot socks. My boss hates them so really I’m winning all round. Prendas set the standard for online cycling retail. Got a few retro jerseys from them. Great products and fairly priced. Prendas are awesome! La Vie Claire jersey will be my next purchase ( I’d be interested in a negative inrng jersey, i.e. mainly white! ).